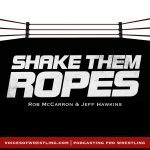 Michael Spears: Co-host of Open the Voice Gate, Dragon Gate previewer, and gets talked into doing dumb things like reviewing Joey Janela’s Spring Break nearly blackout drunk by Rich. 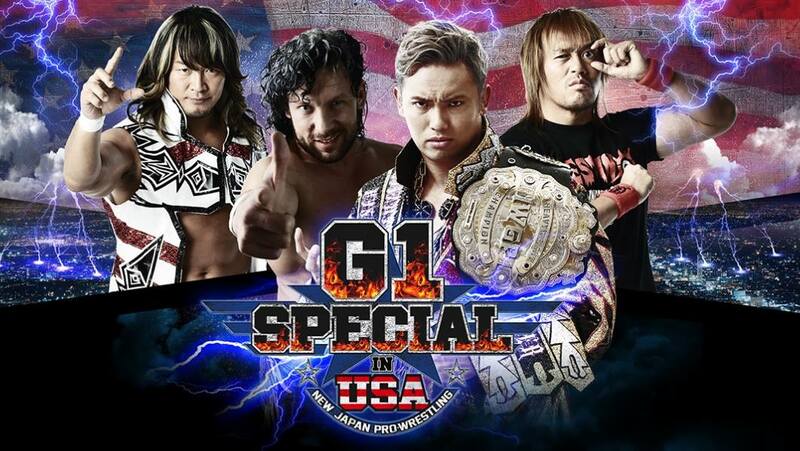 Michael’s actually going to be VOW’s in-person correspondent during G1 Special, so follow him on twitter at @fujiiheya for updates, photos and general musings about NJPW’s big US expansion. 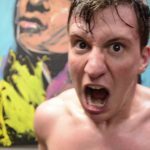 Andrew Rich: Andrew is the co-host of the wrestling music podcast Music of the Mat (@musicofthemat). When he’s not writing for Voices of Wrestling, he’s sort of understanding the new Twin Peaks and preparing to see Iron Maiden and Gorillaz in July (but not at the same show). Follow him on Twitter at @AndrewTRich. John Carroll: Michael’s co-host at Open the Voice Gate, and also the host of the brand new podcast Wrestling Omakase (@wrestleomakase)! 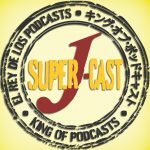 If you already listened to the first episode you’d know that John’s excitement level for these two shows isn’t exactly high, but damnit they’ve got a streak going on these NJPW roundtables and they aren’t about to break it now! Follow them on Twitter @toshanshuinla if you really like trash. Rich Kraetsch: The face that runs the place. VOW founder, co-owner and co-host of the Voices of Wrestling flagship podcast. Cheap plug: my wife (the famed “The Nurse) and I just started a 90s nostalgia podcast, All 90s Podcast and I’d really appreciate if you can give it a listen or pass it along to any family and friends who may enjoy it. You can follow the podcast @all90spodcast or all90spodcast.com. For ‘rasslin content, follow @VoicesWrestling. Michael Spears: I’m really stoked for this match, as it’s people I’ve never thought I’d see in person. 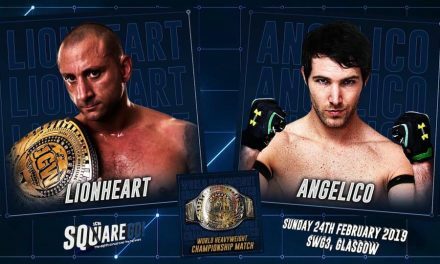 This is pretty much an exhibition match that could play into a possible NEVER Six-Man title match if they wanted to fill out the second night with more action. With the potential of a lot of Dragon Lee and Takahashi interactions, I wonder what crazy stuff these kids pull off. 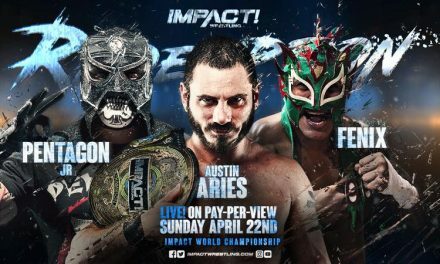 Prediction: Dragon Lee/Liger/Titan/Volador Jr.
Andrew Rich: Another multi-man tag that has some zest to it. Firstly it’s an LIJ tag match that doesn’t involve Taguchi Japan, so that’s a nice change of pace. You’ve got the inclusion of Volador Jr. and Titán, whom we know are gonna fly all over the place. Dragon Lee and Hiromu are gonna share the ring at some point, so that will be fun to see. You’ve got Jushin Thunder Liger, who is always always ALWAYS over with the U.S. crowd. And you’ve got the possibility that a win by Team CMLLiger will earn them a NEVER Openweight 6-Man Tag Team Championship match on night two. 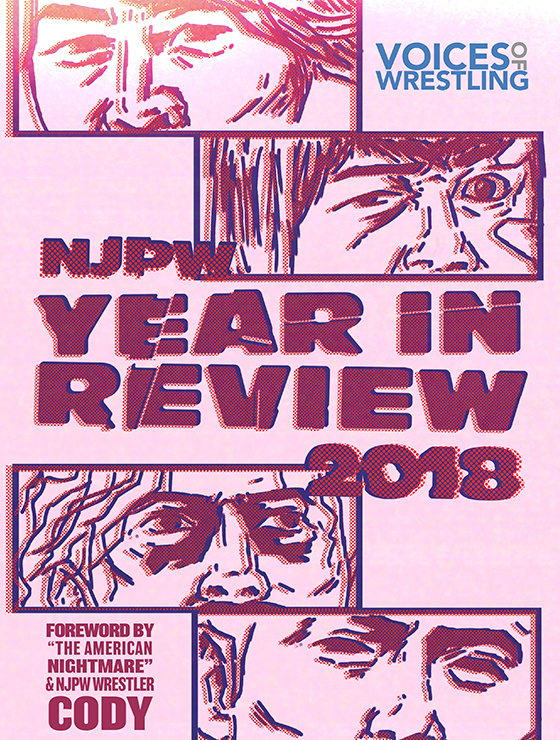 Prediction: Dragon Lee, Jushin Thunder Liger, Titán and Volador Jr.
John Carroll: It’s still not a match that I would expect to see on a regular NJPW show (maybe on a Fantasticamania, I guess) and the heavyweight/junior mix is a little weird, but I’m nitpicking a match that I’m as excited for as anything else on the show. Like the others I’ll go the predictable route and say BUSHI gets pinned to set up a NEVER 6-man title match the next night, which could also be really good. Prediction: Dragon Lee & Jushin Liger & Titan & Volador Jr.
Rich Kraetsch: The inclusion of CMLL talent was a nice surprise for NJPW’s G1 Specials in Long Beach and this is perhaps the perfect use of said talent. These guys will no doubt shine in a six-man format and you just hope the fans in attendance give them the same respect and admiration that the Korakuen Hall fans give them each Fantasticamania. LIJ have perfect the six-man tag format over the last year—I mean, jeez, they’ve been in about 500 of them—and I expect this to be no different. While it probably won’t be match of the night (I’ll get to that later), this could be in the mix as the best match of Night 1. Prediction: Dragon Lee & Jushin Liger & Titan & Volador Jr.
Michael Spears: It has been said plenty of times, but Juice Robinson has proved that if you bet on yourself, you can reinvent your career. Sabre, outside of being the absolute boy, hasn’t done too much and has felt out of place in his short tenure in New Japan and Suzuki-gun. 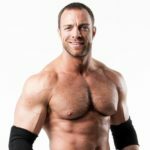 He’s someone that makes sense in the group on a surface level, with his technical skills being a complement to the catch stylings of Suzuki and Davey Boy Smith Jr, but just feels awkward acting as a lumberjack in beatdowns. I’m excited about this match stylistically, as Juice has some of the best babyface selling/fire in the industry today. I’m leaning ZSJ, if only because he’s been positioned higher than Juice since his debut. 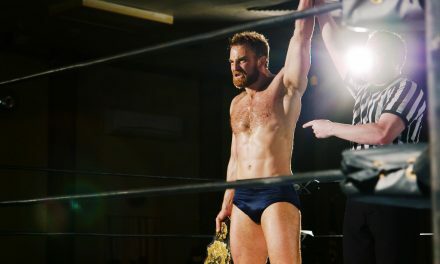 Prediction: Zack Sabre Jr.
Andrew Rich: If you’re not a fan of Zack Sabre Jr.’s Suzuki-gun antics in New Japan—which we shall henceforth refer to as “Wacky Zacky”—you’re in for a treat. With Minoru and company back in Japan, Zack is on his own here. This is gonna be heel Zack Sabre Jr. relying more on his limitless stretching capabilities and saucy banter than Taichi hammers and Desperado guitars, which is the heel Zack Sabre Jr. that we all can love. And with an underdog hero like Juice Robinson—who sports a set of lungs that would make Laura Palmer jealous—ready to take a beating and come back with that babyface fire, this could easily be the sleeper match of the night. Prediction: Zack Sabre Jr.
Rich Kraetsch: Oh yes. The perfect antidote to Lethal/Page. Both men should be motivated to deliver as they march towards their G1 Climax debuts. Sabre should be familiar to most fans in attendance and already has a foothold in the area with his PWG exploits. You have to think Juice will be extra-motivated as well, as he’ll be working in front of an American audience that once knew him as CJ Parker. You’d hope most of those in attendance are aware of the transformation Juice has undergone over the last few years. If not, they are in for a hell of a surprise. The finish is in little doubt but if there’s one man that can have you rooting for the big upset, it’s Juice Robinson. Prediction: Zack Sabre Jr.
Michael Spears: Well it’s this match. The match that a lot of people dreaded, but makes total sense from “wanting to defend your main title on the first big show of your American incursion.” I’m not going to play around and act like Cody’s going to win. He’s not. Why would it be good for New Japan, and their native business, to put their belt on a gaijin who isn’t knocking them dead like AJ Styles or Omega? So the match itself. Cody is one of the most weirdly consistent guys working today. His floor is about **½, but the bad thing is that his ceiling is just under ****. So we’ll see if Okada can truly be transcendent and smash through Cody’s ceiling. Prediction: Kazuchika Okada, please god. Andrew Rich: I was driving to work one day. Typical morning. About five minutes into the drive, I start thinking, “Did I lock my apartment door?” Now, I could have sworn up and down ten times over that yes, I did indeed lock my apartment door. But there was this tiny piece of doubt that kept bugging me like a tiny popcorn kernel stuck to the side of your tooth. Did you lock the door? Yes, I definitely locked the door. Are you sure? Of course, I distinctly remember putting my key in the lock and turning it. Are you really sure? Yes, I’m really sure. Shut up. Because if you didn’t lock the door, then you never know what could happen… It got to the point where I couldn’t let that nugget of doubt eat at me any longer. I had to turn around, drive back to my building, walk up the four flights of stairs to my apartment door, put my hand on the knob and turn. It was locked. 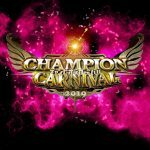 NextVOW Flagship: G1 Climax Blocks & Schedule, Slammiversary, GFW & more!